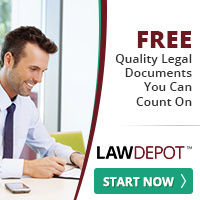 Here is a brief overview of laws with a view to rental. These listed below are statutory (must be adhered to) legal requirements of which you should be aware. As a basic, these laws protect you and your tenant. It is imperative you adhere to these, as they are not too onerous, and will allow you to rent out with confidence. 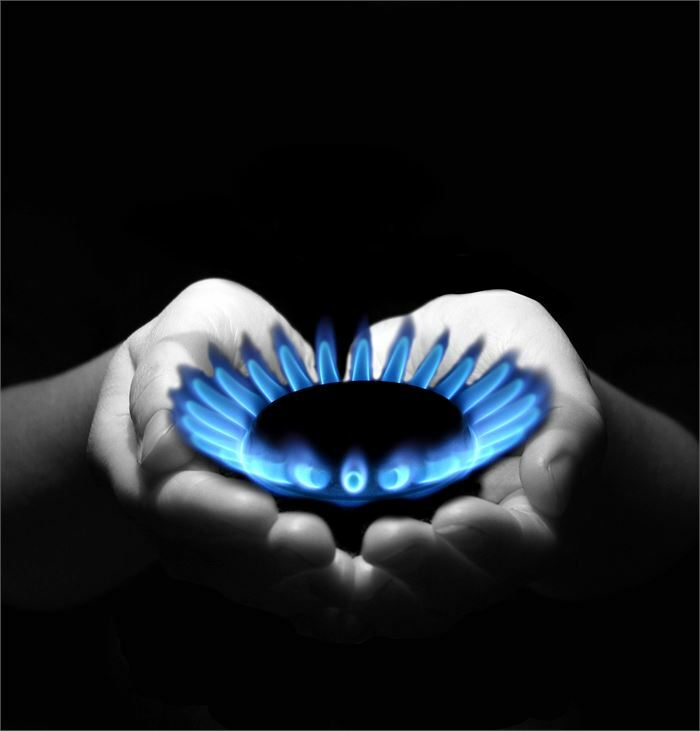 It is imperative that you have an annual inspection of gas supply and gas appliances if you have any. This must be carried out by a Registered Gas Engineer (see important note below). IMPORTANT: Failure to comply with these regulations may lead to prosecution and/or imprisonment with fines up to £25,000. The Health and Safety Executive enforce Gas Regulations. Contact HSE Gas Safety on 0800 300 363 A Registered Gas Installer (see below) must check all gas appliances in rented accommodation every year. This is compulsory under the Gas Safety (Installation and Use) Regulations 1994 (as amended). It is the responsibility of you as Landlord to arrange for these checks to be carried out. Both the Landlord and the tenant should each have a written report on the condition of each appliance. You must as Landlord, keep records of the safety checks and issue a copy of them to new and existing tenants. All engineers must be registered – see important note below. It is imperative you keep a record of when each appliance was checked and any defects found and repaired. This record should be made available to the tenants on moving into the property within 28 days of the annual inspection being carried out. Important Note: On 8 September 2008, the Health and Safety Executive awarded a 10 year contract to Capita Group to provide a new registration scheme for gas installers. This began on 1 April 2009 and replaces the CORGI system. These changes need to be noted by you as Landlords. Prior to 1st April 2009, Landlords were, by law, required to get a yearly Gas Safety Certificate from a CORGI registered gas engineer. From 1st April 2009, Landlords should ensure that all current and future gas engineers are registered with Capita in order to meet their legal obligations. 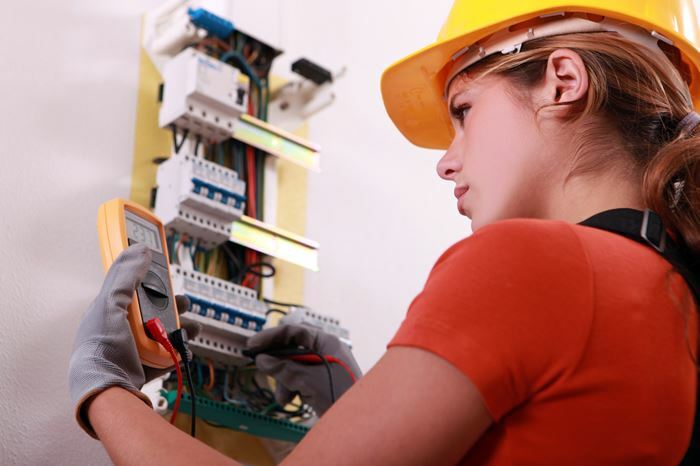 An electrical safety check must be commissioned prior to the commencement of a tenancy, and must be carried out by a competent person (a Part P qualified electrician in kitchens and bathrooms) to ensure that the electricity supply, and all appliances, are legal. This includes supplying instruction books where needed for safe use. IMPORTANT: Failure to comply with the Electrical Regulations may constitute a criminal offence under the Consumer Protection Act 1987 that carries a maximum penalty on summary conviction of a £5000 fine and/or six months imprisonment. This Legislation means that Landlords have a legal obligation and a duty of care to tenants to ensure that the electrical installation and the electrical equipment supplied is safe. The Electrical Equipment (Safety) Regulations have been mandatory since 1st January 1997. They state that all electrical appliances with let accommodation must be safe. This applies to both new and second-hand appliances and covers all electrical items supplied for the intended use of the Tenant. The regulations also cover fixed appliances such as cookers etc. The only method of insuring that these appliances are safe is to have them tested by a trained electrical engineer using the portable appliance testing equipment, known as a (PAT) test. What does this mean? All electrical systems/items must be: • Certified safe when a tenancy begins • Maintained in a safe condition throughout the tenancy • Maintained only by ‘competent persons’ • Fit for purpose and free of defects. What should I as a landlord do? As a minimum, have an annual electrical safety inspection (i.e. the Enhanced Electrical inspection or”E2”), which includes the electrical equipment. Ensure any installation or maintenance works are done by Part P ‘competent persons’. Energy Efficiency for UK Let Property. It is a legal requirement that any property marketed either for sale or to rent has an up-to-date Energy Performance Certificate and that this is made available to any prospective tenant. Energy Efficiency takes into account factors such as insulation, heating and hot water systems, ventilation and fuels used. 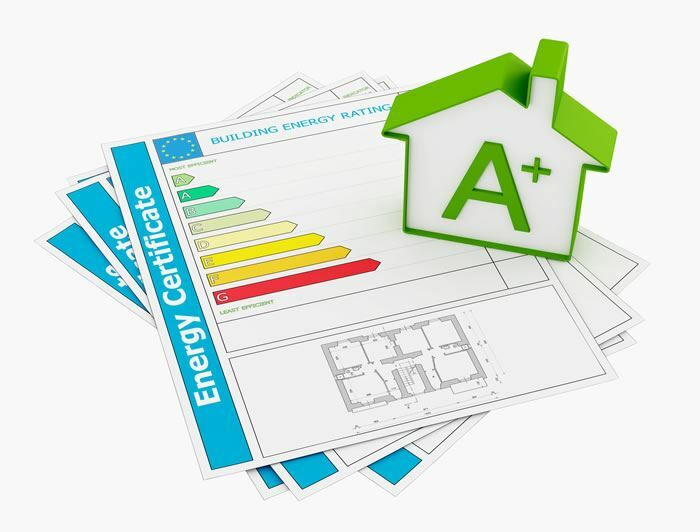 When this comes to EPC’s, the average Energy Efficiency Rating for a dwelling in England and Wales is band E (rating 46). With the green agenda now being high on any Governments requirements, the energy efficiency of a building will be paramount in future proofing the building. By fitting expensive items such as photo-voltaic cells or wind turbines (to generate electricity), or ground source heat pumps (to passively heat the dwelling), you could make significant savings, but let’s be honest, until these items drop in price to a reasonable level, we as Landlords must make our properties as energy efficient as possible via the tried and tested means. It is essential for energy efficiency that you: • Insulate your loft, but allow ventilation to circulate around it. • Insulate your hot water cylinder and all pipes. • If renewing, fit a new, highly efficient boiler. • Install cavity wall insulation. • Install high quality double glazing. • Consider fitting a water metre (if not built with one in place). There have been moves by successive Governments to help fund this in the form of grants, to home owners. These grants have not been available to the Private Residential Landlord, but there are plans in place to make EVERY building more energy efficient in the future. We at InformedLandlords.com will keep you aware of any changes in this area, but in the meantime, we have installed a link to the Energy Saving Trust. The chances are you'll have a very large amount of money invested in your rental property. This is an investment you need to protect, from insurance for fire to insurance for water damage; also, your mortgage company will insist you have Landlords Insurance on the buy to let property - a standard owners insurance policy usually will not protect you if the worst were to happen. By investing in Landlords Insurance from InformedLandlords.com, you can rest easy knowing that both you and your property are properly insured for both buildings and contents. As a landlord the odds are that you have spent considerable amount of time and money on the property. Therefore, there are many reasons why you should use a landlords building insurance policy rather than standard household policy. The mainstream benefits obtainable under a standard household policy are seriously affected when the property is let and cover may end if you do not inform the insurer that the property is let. Landlords building insurance can protect your capital investment and property from damages caused by fire and flood, and most importantly it can also help protect the income stream you receive through your tenants paying rent. 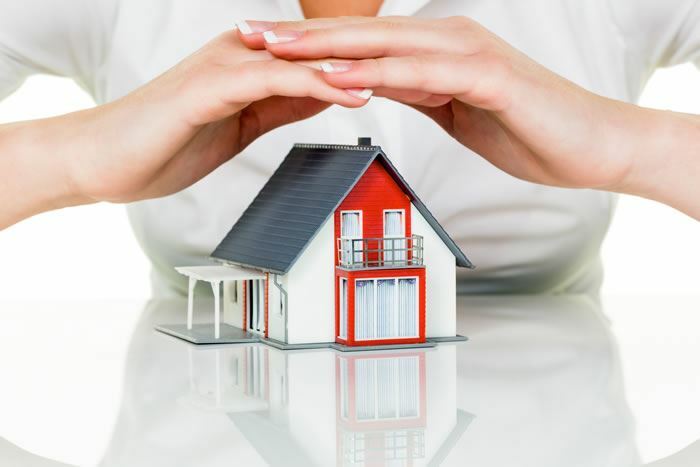 Things to consider when choosing landlords building insurance:- • Tenant Type • Loss of rent cover • Landlords’ contents insurance • Landlords liability insurance • Rent guarantee insurance • Landlords’ legal expenses cover Landlords Contents Insurance Cover The items that you have in your home/property can be insured in case they are damaged by your tenant, fire or flood or any other catastrophe. This cover offers the security you need when letting property out and also protects your money invested into the property. Things to consider when choosing landlords contents insurance:- • Fixtures and Fittings; bathrooms, kitchens, radiators are usually insured under a building policy. However, these can be excluded with some landlords insurance block policies. • Flooring; wooden floors, laminate flooring and fitted carpets are also covered under the building policy. • Replacements; new or old item replacements are restricted in landlords’ contents insurance, yet they could be insured under new for old cover. The Fire and Safety Regulations (soft furnishings) states that all furnishings (beds, sofas, chairs and the like) comply with the latest fire regulations. Ensure that you do not have any non-compliant furnishings in a rental property. IMPORTANT: Failure to comply with the Furniture and Furnishings Regulations may constitute a criminal offence under the Consumer Protection Act 1987, which carries a maximum penalty on summary conviction of a £5,000 fine and/or six months imprisonment. From 1st January 1997 all upholstered furniture in rented accommodation must comply with the fire resistance requirements of the Furniture and Furnishings (Fire) (Safety) Regulations 1988 (as amended). All upholstered or part-upholstered furniture is covered by the regulations including mattresses, pillows, and cushions. Each piece of furniture that complies with these regulations should have a rectangular label permanently attached to it with the heading “CARELESSNESS CAUSES FIRE”. If the furniture was produced prior to 1988 or does not have the above label, it will probably not comply (apart from antiques made before 1950). Do you REALLY know your tenant? Are you sure they have a good credit record and have no CCJ’s, debts or previous rent arrears to their name. As a private landlord, it is essential you understand the history of your tenant, how your tenant behaved financially in the past and if you are letting to a reliable tenant. By outsourcing tenant referencing to a company, you can be certain of a true source of information relating to your tenant, and can be assured your letting is a safe and secure one. The tenant referencing company will score your tenant on: • Income to rent ratio. • CCJ’s against the tenant. • Any bankruptcy or Administration. • Breaks in income over the previous 6 months. • References from previous landlords/letting agents. • Bad credit scores due to missed payments on credit cards, store cards and similar. • If your tenant has any of the above, it is not necessarily the finalisation of the letting opportunity. As a landlord, you could ask for the agreement of a tenant guarantor; remember, it is essential you also credit check them. Tenant References - Protect your buy to let income Cover yourself, make sure you get your rental income protected by attaining creditable references on your tenants. You will need to have performed these credit checks if you are looking to purchase a rent guarantee insurance product. Rent Guarantee Insurance | UK Rent Guarantee for Landlords Private Landlords need to be assured rent will be paid. Unfortunately, there are occasions when the rent is not paid, and we get into legal dispute with our tenants. This can inflict serious damage on our cashflow, and as such must be avoided at all costs. Rent Guarantee acts exactly as it says. An insurance premium is paid by the landlord, and if the tenant then fails to pay the rent, the insurance cover will kick in to protect us from bad debts from tenants in your portfolio. Some of the schemes even offer legal expenses cover to obtain possession of your property in the event of payments not being paid. Why purchase Rent Guarantee Insurance? As landlords, the decision to purchase rent guarantee depends on: • How you view and manage risk. 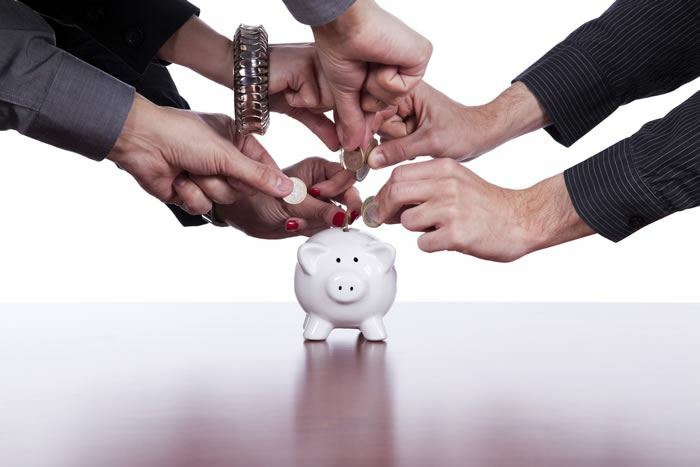 The cost is minimal and if you have a defaulting tenant, the cover is very valuable. • The credit check of your tenant (most rent guarantee products require a tenant reference), but remember, even good tenants can become bad ones. • Your ability to pay any buy-to-let mortgage when your tenants do not pay. Landlords need secure income to make a business work. If the income stream is disrupted in any way, this can lead to very serious consequences to your business, cashflow and future purchasing power. The rent guarantee is the best way to avoid this. 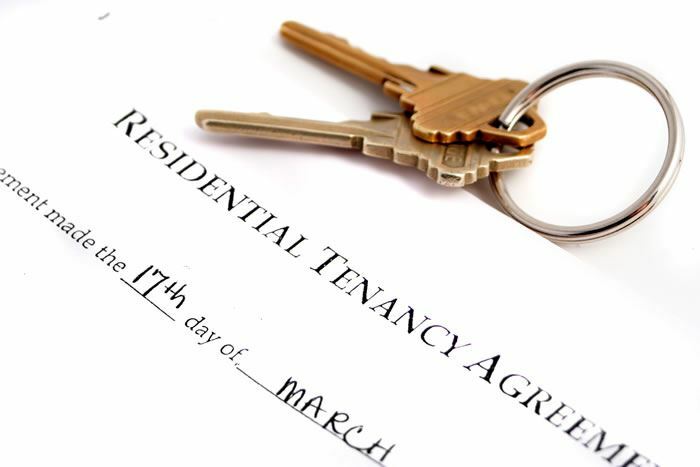 A tenancy agreement is a legal agreement in writing (but very dangerously can be oral) that sets out the rights and responsibilities of both landlord and tenant. It contains details such as the length of the agreement, the rent payable, inventory and what is and isn't allowed in the property. If the rental period is below three years, you do not have to, by law, give a written agreement, but it is in your best interests to do this; it protects you. As a private landlord you will rent the property at the market rate and your right to increase the rent depends on the type of tenancy. If you have rented out to your tenant for a fixed period of three years or more, you are legally obliged to give them a written Tenancy Agreement. Where there is no written tenancy agreement (an oral agreement), a tenant that started the letting after 28 February 1997, has a right to ask for a written statement on the date the tenancy began, rent payable and when, and what are the rent review arrangements. Types of Tenancy Agreement There are different types of tenancy agreement. The most common, and the ones you will use as landlords are: Assured Shorthold Tenancy (AST): The Assured Shorthold Tenancy is the most common in the private rented sector, and the one you will most likely use as a Landlord. If the tenancy begins, or was agreed, on or after 28 February 1997, it is likely to be an Assured Shorthold Tenancy. Under this tenancy, you as Landlord must adhere to the Tenancy Deposit Protection Scheme. This is designed to solve the problem of a tenant’s deposit being held unfairly by the Landlords. All deposits taken under an Assured Shorthold Tenancy must be protected by a Government scheme, either Insurance or Custodial. Contractual Tenancy If you rent out to multiple persons, and the combined rent is over £25K pa, the tenancy will be different. Bare Contractual Tenancies tend to occur in large households where several people occupy a property, for example a student household. Remember, if you rent to 5 people paying £100 a week each in rent then this equates to £25K per annum. Assured Tenancy This type of tenancy agreement is usually issued by Housing Associations and not private landlords. Regulated (or 'protected') Tenancy: If you rented the property out before 15th January 1989, you may have a Regulated or Protected Tenancy. This tenancy offers the tenant the most protection against rent increases or eviction, and you should try to change this to an AST. Are the backbone of the Landlords funding stream, and in recent years has been an enormous growth area with many of the lenders placing new products in the market place, allowing people with little or no capital deposit to invest in property. Some commentators have suggested that this has been one of the main contributors to the sudden and recent downturn in the market, as Landlords falling into negative equity panic and try to sell their properties in a negative market. This aside, buy to let mortgages are still available to people with good income streams and a healthy deposit. Many lenders are slowly re-entering the Buy to Let marketplace, allowing Landlords to shop competitively for best interest rates and at the best deposit rate. Whilst attaining new quotes for mortgage loans for landlords can be tough, it is easier to find remortgage deals for UK landlords. Be aware though, the Buy to Let mortgage market does not perform in the same fiscal model as owner occupied mortgages. Lenders understand the greater risks placed with Buy to Let, and as such add a premium on their mortgage rates to reflect the risk associated with Buy to Let. This risk has been much published, and with many of the lenders being nationalised, the ability of these institutions to lend ‘recklessly’ is greatly diminished. Buy to Let Remortgage Finance Considerations Issues to consider when investigating a Buy to Let mortgage or remortgaging a buy to let property: • The lenders criteria with regard to income, cash flow, deposit (This is easier for landlords remortgaging property). • The lenders interest rate to you. • The profit generated monthly and the period you believe the property will be empty annually and you will have to fund yourself. • The Capital Gain you will obtain from the property in an upward market. When you have calculated all the above, you can put an excellent business case to the lender, showing them you are a serious and committed investor.